Rummy is one of the most famous card games in America, and it’s often played by people of all ages for a bit of good fun. If you aren’t sure how to play rummy, you’re going to be at a disadvantage when it comes time to play against your uncle at the family reunion, so it’s a good idea to learn. 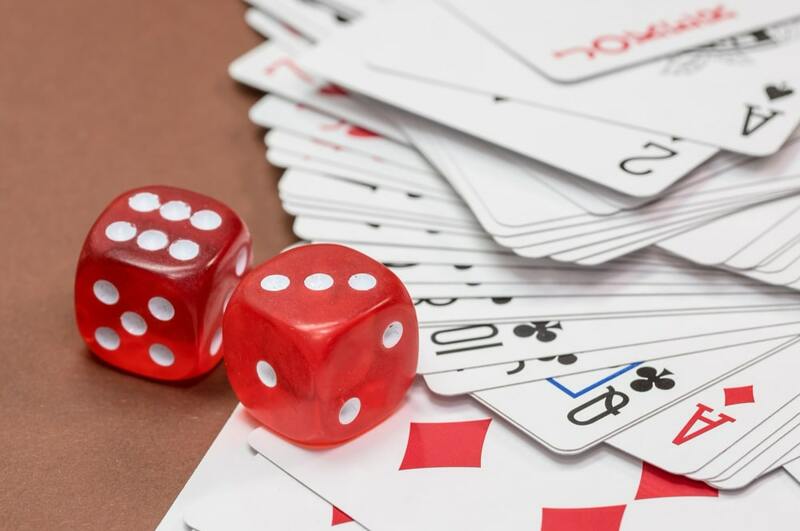 In this article, we’ll teach you a bit about the origins of Rummy, explain the game’s intended crowd, teach you the basic rules, and then offer a few advanced tips and tricks that will help you win hands and games by making good melds. Not sure what a meld is? Don’t worry; we’ll get there soon enough. Why Do Some People Call It ‘Gin’ Rummy? The “gin” prefix of gin rummy comes from Rummy’s British origins, as does the game’s “Rum.” In the British slang during the era of Rummy’s invention, “rum” meant something out of place. Similarly, “gin” was slang for winning, which is why players shout “gin!” once they’ve put down their final cards. The history of the Rummy card game is, perhaps ironically, devoid of any concrete historical evidence tying it to the use of any alcohol. “Gin” Rummy is a variant of Rummy which has a few different rules which make it better for two players to play rather than larger groups of players. What Do I Need To Play Rummy? To have a rousing game of Rummy, you only need one standard playing card deck and between 1 and four people willing to play other than yourself. If you want to expand your Rummy game beyond five players, you’ll need an additional deck of cards. Playing with more than five players makes counting cards—an advanced technique—much more difficult, so it may also level the playing field between the more experienced players and the newer players. Keep this in mind if you’re having trouble winning a game of Rummy against a group of children. Adding players to Rummy increases the number of pieces of information to keep track of, and it quickly becomes difficult to do much other than compare what’s in your hand with what’s in play. Who Is Rummy Suited For? Rummy is good for groups of people who understand ranking of cards, are dexterous enough to deal when it’s their turn, and who can keep track of a few simple rules. Rummy isn’t suited for the youngest children, but by the tween years, anyone should be able to follow a game of Rummy without issue. It’s easiest to teach people how to play Rummy by example rather than by reading the rules, so hashing out a few example hands—or even an entire example game—is a good idea when you’re teaching youngsters how to play. Rummy is meant to be played quickly and loosely, so you should expect to play through one 100-point game of Rummy with four players within 20 minutes or so, assuming that everyone knows the rules and plays at a normal pace. What Are The Rules Of Rummy? The Rummy rules are simple. Your objective as a Rummy player is to form the most matching sets of groups of three or four of a kind or sequences of three or more cards in the same suit. To accomplish this, you’ll have to keep track of your hand and often deal cards to other players. Cards are ranked with Kings high and Aces low, though different variants of Rummy place the Ace elsewhere. You can choose to include Jokers as wildcards or to remove them. Most players remove the Joker when they play rummy. First, the cards should be shuffled, and the players should take seats around a roundtable or an area that’s cozy enough for everyone to have convenient reach to the center. The dealer distributes cards face down, starting with the person to their left. For games with two players, each player gets ten cards, whereas in games with more than two players, each player gets seven cards. The top card of the stock is turned face up, and put into play; the technical term for this card is the upcard. The upcard sits next to the stock and is the foundation of the discard pile. Players shouldn’t look at their cards until everyone has received their hand. The remainder of the deck is called the stock and is placed face down. Starting with the player to the left of the dealer, each player draws the top card of the deck or the top card of the discard pile and puts it into their hand. At this point, the player may put down on the table any matched set that they have formed, although there’s often a good reason to hold out for a better set. Matched sets are called “melds.” Making melds is the way to winning Rummy, and each player should make a meld each turn. If a player can’t make a meld, they have to discard a card. The reason why knowing how to play Rummy is interesting is that during their turn, any player can add cards to a meld that’s already on the table to complete the set. Each player then passes their turn to the next player until one player is free of all of their cards, at which point they’re declared the victor of the hand. The person to put down the last set of cards and make the final melds then gains points equal to the combined value of all the melds on the board. To find the value of the melds on the board is simple; face cards count for 10 points each, aces count for one point each, and the other cards are worth their numbered value. The deck is then reshuffled, the dealer is passed to the left, and play continues until the players reach the predetermined winning point cutoff, after which the player who reaches the cutoff first is the winner of the entire game. Most Rummy players agree that 100 points are a good number of points to play. 100 points means that victory is possible in as few as four hands, although it’s much more likely that 100-point games will go on for at least nine hands. There are many variants of Rummy, each of which has rules that may drastically change the nature of play. For example, in Jungle Rummy, players are harshly penalized if they declare that they have made a meld or a set and are incorrect about its value. This leads to more careful play, although other rules which make players immediately lose the game if they don’t make any plays after three turns may seem a bit harsh for beginners to the game. Learn how to play basic Rummy first, then try learning some of the variations for a bit of extra fun, but don’t be too surprised if other people have never heard of a variation when you suggest it. There are dozens and dozens of variations of Rummy, and most people only learn one or two beyond the basic game. How Do I Win At Rummy? Rummy is a simple game, but there are still tricks that you can use to gain an advantage. Rummy is a great game to play with friends or family and tends to include a large enough element of luck that players won’t get frustrated with each other when they get bested. There’s still a fair amount of skill involved in playing Rummy competently though, so don’t feel as though you’re stuck with the luck of the draw. Much of the skill involved in playing Rummy comes from making the best melds you can from the initial hand you’re dealt and the hands that your opponents play—often prematurely. Like in many other card games, it’s best to play your cards close to the chest in Rummy, as every action you take provides information to your opponents and brings the hand one step closer to a conclusion. Rummy players should have both skills and patience.